In Bounty Bay Online it´s the players that write history! 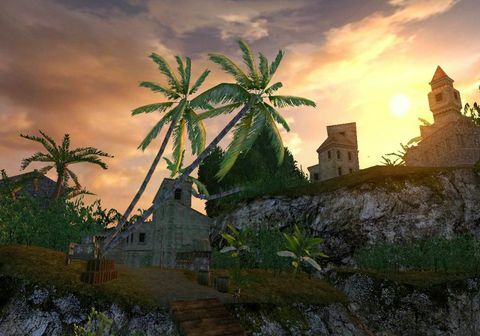 Similar to the great explorers, buccaneers and pirates of old times, the players have to write the history of Bounty Bay Online. In the wake of legends like James Cook (), Christopher Columbus () and other similar heroes of the time, you can discover new fauna and flora. You have to fight against fierce animals and battle against outlaws and mythical creatures from all cultures. Governors and other influental personalities hand out important assignments to boost the glory and fame of their subjects. With their help you can advance your career and maybe one day get a peerage. In the end, you may be responsible for the political fate of the nation. If you are sailing alone in your merchant ship or are part of a larger convoy, you always have to keep an eye out for the dreaded pirates and either avoid pirate infested waters or protect yourself with heavy escorts to reach your destination port alive. As a pirate that knows no authority, you have to avoid cities with too many trained guards. Secret bays and caves are your home and protect you between your raids. Farmers grow rare plants out of expensive seeds on their soil and when a blockade of ports endangers the supply lines it is them who will keep the innocent population alive. Crafters need more and more raw materials to make heal potions, weapons, armor and ships and when commodities from local sources run low, they have to go to sea to find new deposits. 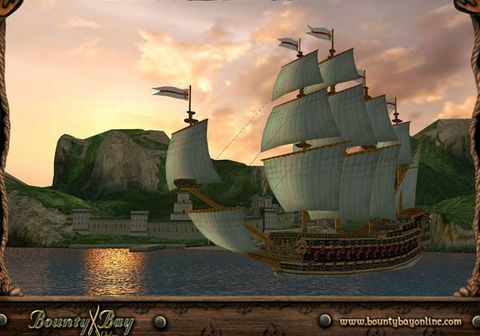 The world of Bounty Bay Online is the world of legends like Christopher Columbus, James Cook and Vasco da Gama, but first and foremost it is your world!